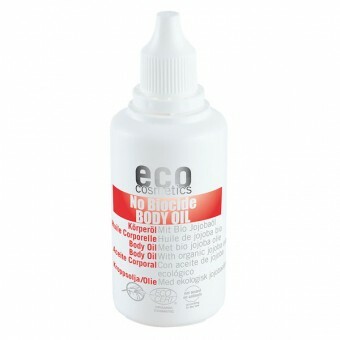 For you eco cosmetics has developed an insect protection that cares for your skin. This concept is based on a traditional formula used by natural therapists. Jojoba oil, a liquid vegetable wax, forms the basis. It is rich in unsaturated fatty acids, vitamin E and trace elements. It leaves a fine film on the skin which protects against moisture loss and cares for the skin. The fragrance of this insect repellent is reminiscent of cinnamon with a citrus note and consists, among other things, of essential citrus and eucalyptus oils. Biting insects no longer recognize natural human body scent. As with all products which use the aid of a fragrance to protect against insect bites the efficiency and length of protection depend on several factors, such as the applied amount, personal odor, humidity, wind or temperature. Accordingly it is a very high, although not 100%, skin barrier function which is given. This normally lasts for 1.5 to 2 hours, after which the product should be re-applied as the essential oils evaporate over time. The practical bottle enables economical and targeted use. Directions: Apply in sufficient quantity and repeatedly, avoiding the eye area. Can be applied very lightly and evenly. Distribute thinly over the skin. 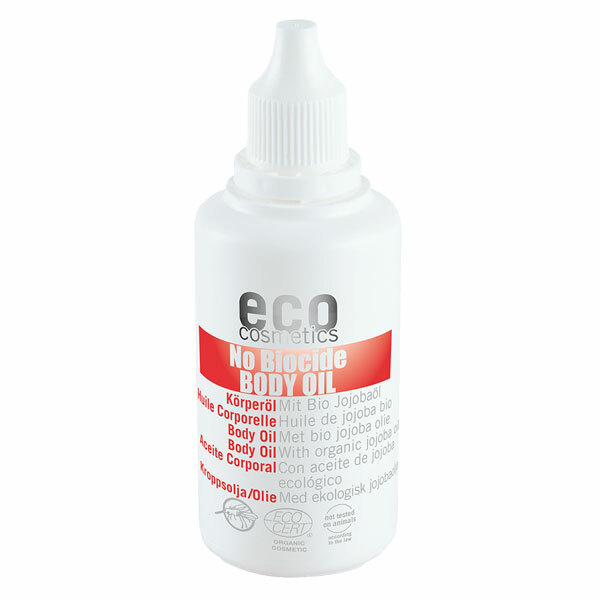 Insect repellent suitable for all skin types as well as children. Suitable for body and face. Biting insects are irritated by the special fragrance and no longer recognise body scent. Contains no synthetic insecticides and poses no danger for the environment. The practical bottle enables economical and targeted use. Easy to apply and leaves skin feeling smooth. Contains citrus and eucalyptus ingredients! For external use only! Avoid contact with eyes and mucous membranes!